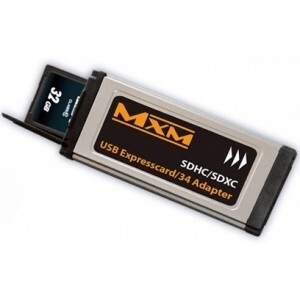 The newest MXM Expresscard/34 adapter (Rev. 2.0) has been specifically designed to accommodate the new generation of memory cards based on UHS-1 bus lane protocol for use with new generation memory cards (64GB plus). It allows the media chamber door to totally closed on the XDCam EX series cameras. The MXM adapter utilises a very reliable push in/push out spring mechanism and is embodied in a rugged stainless steel case. 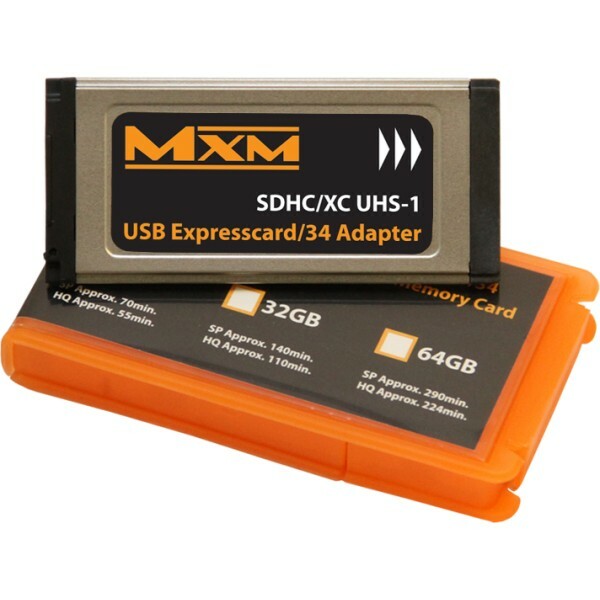 ﻿Why should I choose the new MXM SDXC card? The biggest consideration is the use of the the newest and the most up-to-date technology available allowing faster R/W transfer. We have completed over 8,000 hours of recording MXMs with various media. This may seem excessive, but that's how we HAND test for durability and quality. That's what makes it our originally designed MXM lockable adapter! The memory card is inserted and locked before the latch is closed. The latch/door does NOT seat the SD card into position. Insert/push until the memory card clicks into place and you are good to go! World's highest QC. Every adapter is tested prior to shipment. Recommended memory cards have been tested for over 300 hours of recording. Approved for full over and under cranking from 1-60 fps. 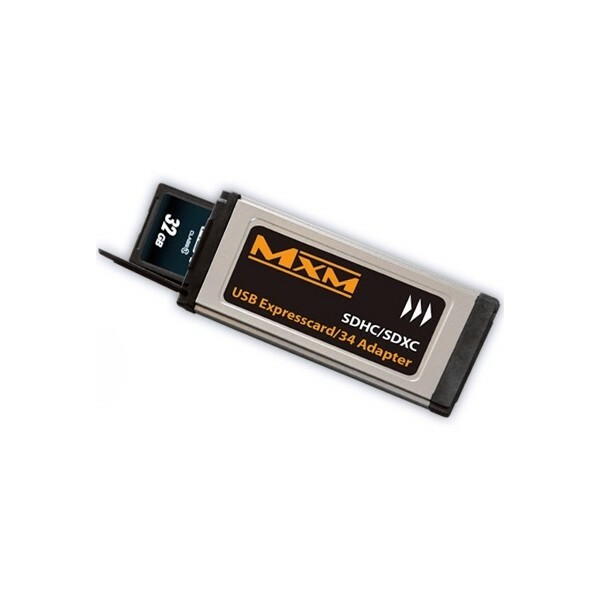 The MXM Expresscard/34 will record at 1920 x 1080 35Mbits/s (or 4.375 MB/s) HQ in the same way as your SxS Pro memory card will record. Which firmware should I use with my MXM and Sony XDCam EX camera? Our after sales support is friendly and available 24/7.